Barnsley College’s Enterprise department and Learning Technologies Unit have both recently been commended at prestigious awards ceremonies. The Enterprise department claimed The Duke of York Community Initiative Award for its iTrust programme, which is run in partnership with the Barnsley Chronicle, and was also a finalist in the Student Support categories at both the Educate the North Awards and the TES FE Awards. The Learning Technologies Unit also received recognition as a finalist in the Outstanding Use of Technology for Improving Teaching and Learning category at the TES FE Awards for the work of Elephant Learning Designs, which uses interactive eLearning products to enhance learning and teaching. 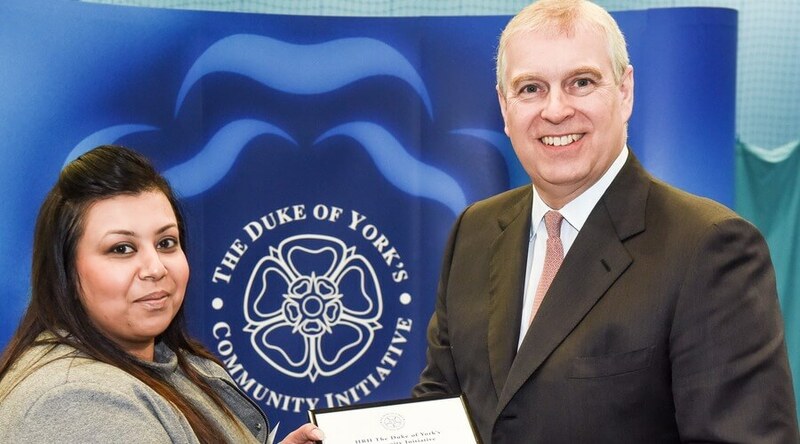 Rubina Rashid, Assistant Principal for Students, said: “I was delighted to accept The Duke of York Community Initiative Award on behalf of iTrust and the businesses we have supported since the venture was established. I was also pleased to be recognised at the Educate the North Awards and the TES Awards. To find out more about studying at Barnsley College, contact our Information Team on 01226 216 123 or info@barnsley.ac.uk.